If you guys follow me on instastories, you will have seen me having a ball in St. James Market last Saturday. Actually, maybe I was having a little too much fun. I don't think I've shared that much of my weekend in a long time. 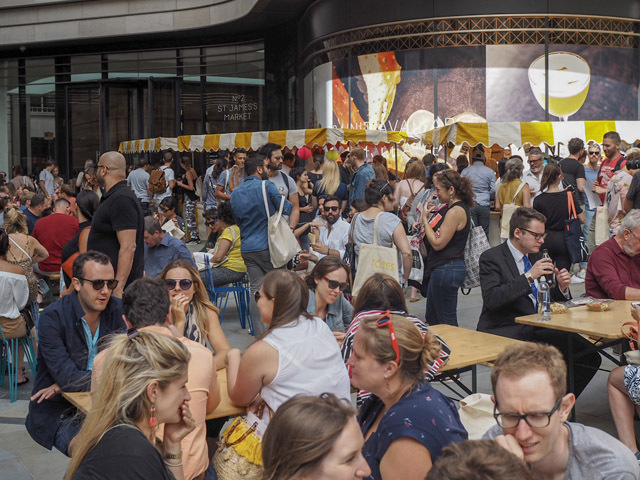 You see, I was invited, by St James's, to attend a revival of London's Wine Car Boot. 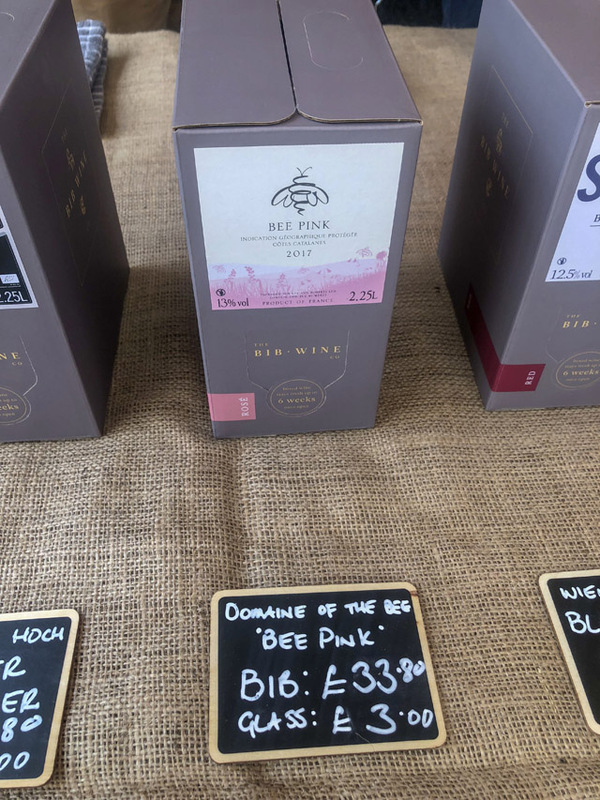 If you are scratching your head and wondering, "what on earth does wine have to do with the traditional car boot sale," I need you to expand your thought process here with me for a moment. There is a chance I might surprise a little so keep with me. I think there is a real trend at the moment to step into your local supermarket and grab any old bottle of wine off the shelves. I'm guilty of this, more than I'd like to admit. But, if you are willing to broaden your horizons a little, and are ready for a truly terrific tastebud experience, I think this event needs to be in your calendar for August 18th, 2018. That's when the next one takes place. I'm not going to come on here and tell you about a past event you can't take part in now am I? All the details are over on winecarboot.com, for those who are looking for all the official info and to make sure I'm not just sending you into a random get together. Not that I would ever do that to you beautiful people! First of all, here are all the important details you need to know. The event is on Saturday, 18th August, and it runs from 12pm-8pm. Anyone is welcome to attend....absolutely anyone! When you get there you have a few options for how you'd like to proceed. 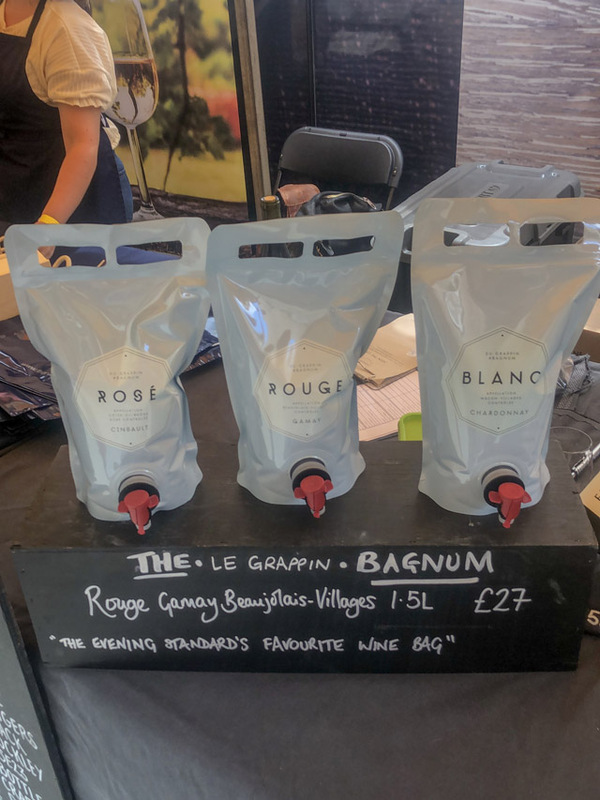 You can simply meet and greet the dozens of wine merchants and buy direct from knowledgable folks right there in front of you, or you can really get involved and buy a tasting tote pack. 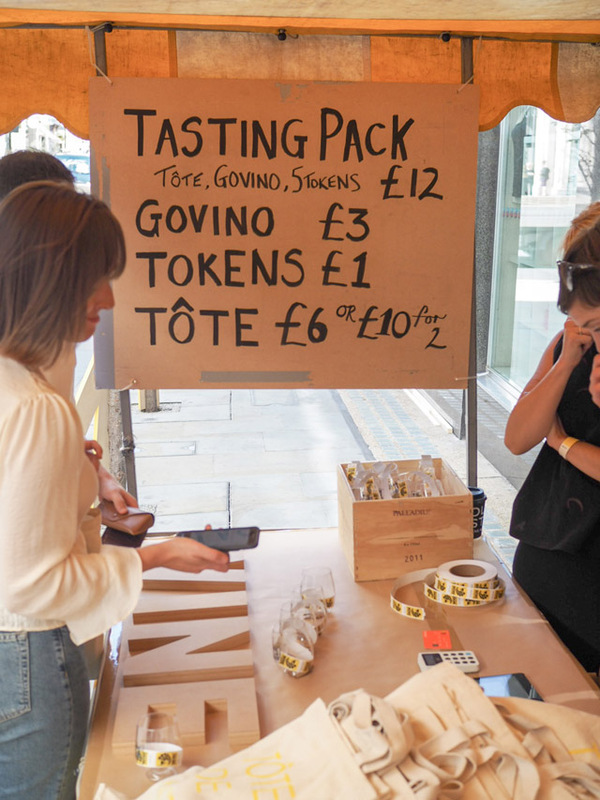 For £12 you get a rather snazzy tote, a govino glass and five tasting tokens. Additional tokens can be bought for £1 each. I went for the tote, which allowed me five tastings of the wines on offer. That was enough for me to end up spending over £80 on wine that I fell in love with on the spot. 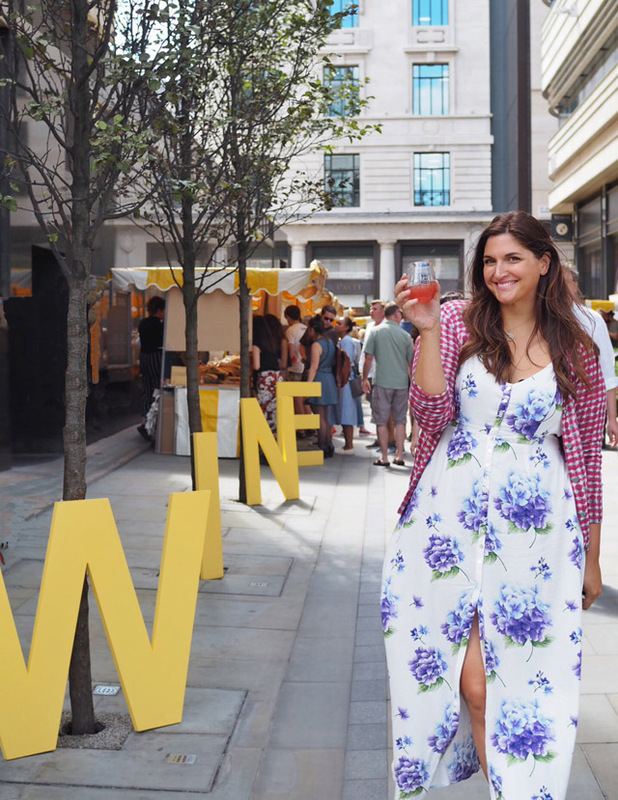 Now, saying that, every single bottle I bought was a bargain, wasn't much more than a lot of the wines I would normally purchase in the supermarket and exceeded every expectation for the wine I was thinking I would discover. While wandering from stand to stand I also discovered all the new ways in which wine is being packaged. Back in the day, if you drank wine from a box you were, well you were a person that didn't have much respect for wine. 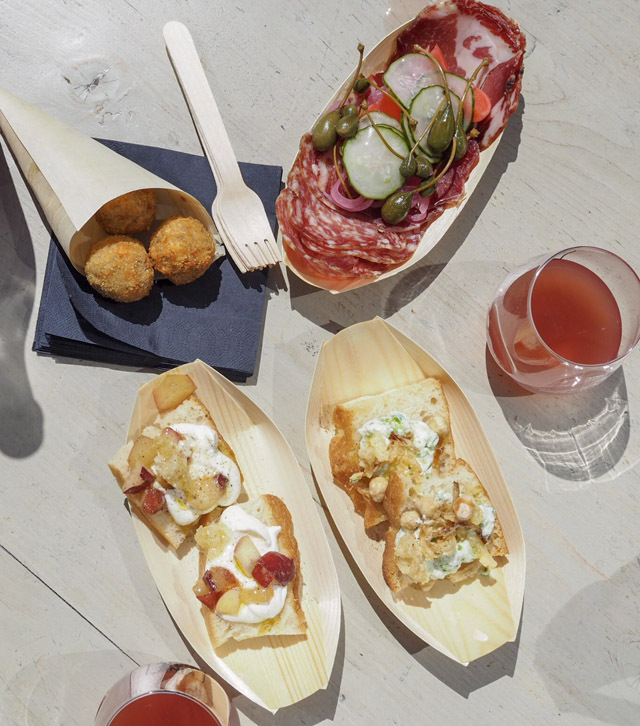 These days, wine comes in a box, in a bag or in a can. And the surprise here is that the wine coming out of these rather odd packages is absolutely fabulous. I left with a six pack of wine cans, a bagnum (which is a magnum of wine in a bag... and it's bloody genius) and a box of wine that fits nicely on the door of my refrigerator... ideal. After about an hour of tasting, a few friends and I bought our favourite bottles from the vendors we loved the most, had them open the bottles there and then while we sat down to enjoy the sunny afternoon on one of the picnic benches set up in the market square. 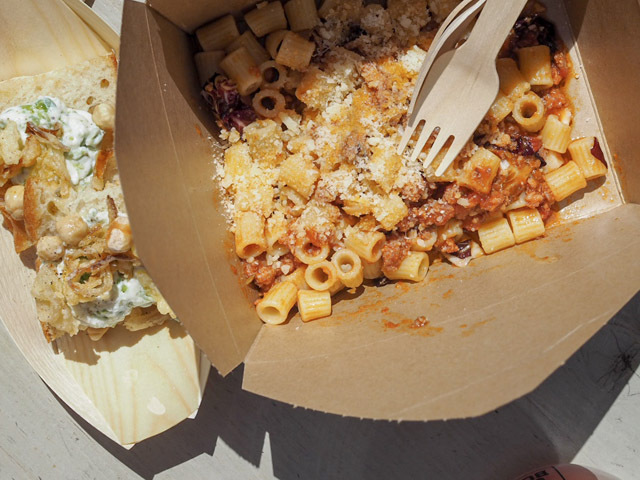 We grabbed pasta from Cafe Murano's tent, a cheese plate from Paxton & Whitfield (if you don't know about these guys all I need to tell you is they are the official suppliers of cheese to the Royal Family and there's a reason for that) and made a day of it. I can't thank of the last time I had a more pleasant afternoon out and about in the city. And it's for that reason I'm insisting you go down and give it a go!